Gorgeous, romantic, wistful. 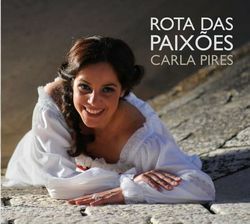 "Rota das Paixões" (Route of Passions) is a 12 track CD featuring the traditional but subtly modernised Portuguese fado of the beautiful husky-voiced fadista, Carla Pires. This new album from Carla (who became famous in her homeland via her stage incarnation of the legendary Amália Rodrigues) encompasses a previously unpublished repertoire aimed at an international audience. Her PR refers to this style as 'neo-fado': "poetic and full of paradoxes, in the clair-obscure style". Alongside Carla's own lyrics, half the songs are jointly penned by Paulo Abreu Lima and another six were co-written by Carla's guitarist António Neto. "...not a note is wasted"
The simplicity of the arrangements (mostly voice, classical guitar, Portuguese guitar and bass) belies the beauty of each song - you have the feeling that not a note is wasted: in the translated words of the title song: "and in the silence of a cloud, lying on the carpet of the most crystalline voice... we abandon ourselves to become the fado that exists in this unavoidable Route of Passions..."
Piano, accordion, violin, viola and percussion are also used sparingly in a few tracks. The liner notes describe her voice as a "luminous alto voice, like a rainbow over the River Tejo". 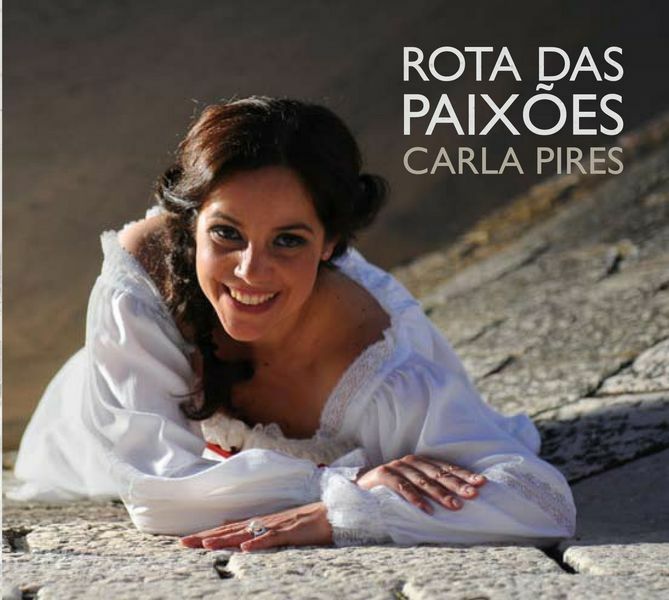 Carla Pires might not have the crossover appeal of a Mariza, but it's still a beautiful album and worth checking out if you like fado in particular and Portuguese music in general.